Overview: 6minutes drive to the Shongweni horse grounds, 11 mins from Hillcrest, 25mins from Durban.Treehouse River Lodge is nestled in the beautiful valley of Shongweni/Summerveld. Upmarket thatched en suite log chalets, which overlook the river and gorge, private verandas and braai areas. Family chalets with fully equipped modern kitchens,stunning honeymoon suites also available. Guest pool and cash bar. All chalets have TV DSTV radio and CD tea/coffee trays. secure parking. delicious full English breakfasts included in price. 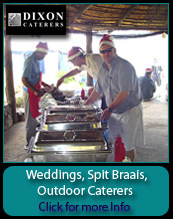 Lunches and dinners also served.